Get notified when Halsey tickets are available! Halsey is an American electropop singer and songwriter who debuted in 2015 with her studio album Badlands. She got her beginnings on social media sites YouTube and Soundcloud, where she was discovered and signed by record label Astralwerks. Since then, she has worked with notable acts such as the Chainsmokers and hit the number one spot on the Billboard Top #100 List. In 2016, she won a Billboard Women in Music award for her talent. 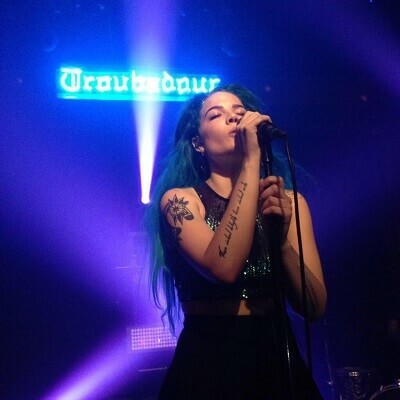 Halsey has toured with bands Imagine Dragons and The Weeknd. Catch her on her tour at a location near you by purchasing Halsey tickets using the links above.